I already cleared the catch and also I have opened and checked this in a private window and am using the Internet Explorer browser. You can check this from the below image. 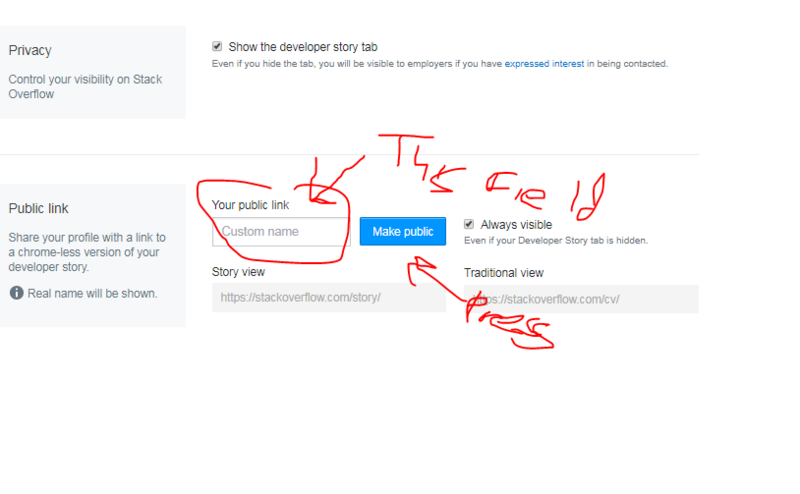 As per the @Eric comment those (https://stackoverflow.com/story/) links should be like this: https://stackoverflow.com/users/story/2218635 ??? You haven't entered a slug. You need to enter a name in the custom name field, then those links in the bottom will have that name added to it, and will work. Not the answer you're looking for? Browse other questions tagged discussion feature-request bug developer-story 404-not-found .